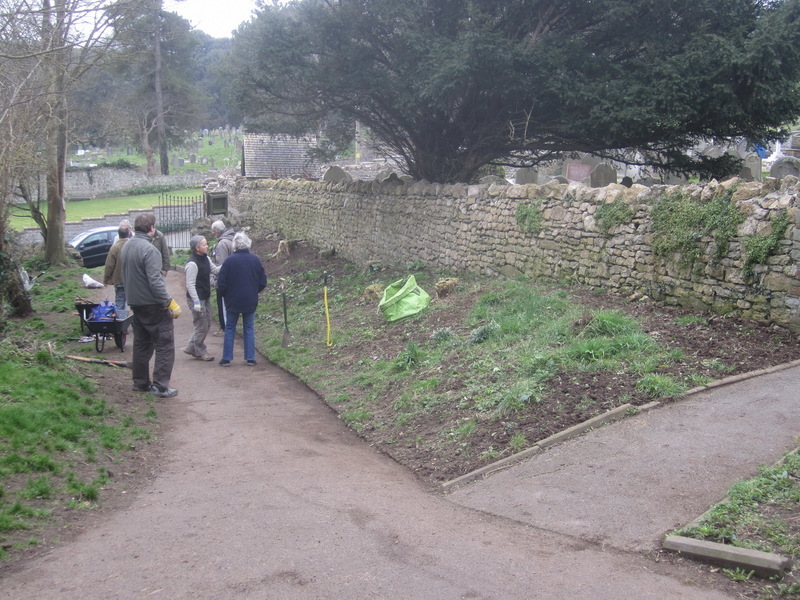 In November 2013, inspired by an old Clevedon post card showing St Andrew’s Church and with the full approval of the church folk, the Friends of Poets’ Walk set out to restore the view of our old Parish Church from the path that leads from Salthouse Road. 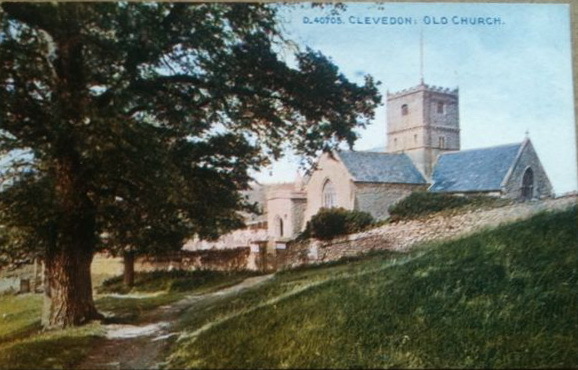 The old postcard above shows that the gate in the churchyard wall was regularly used. 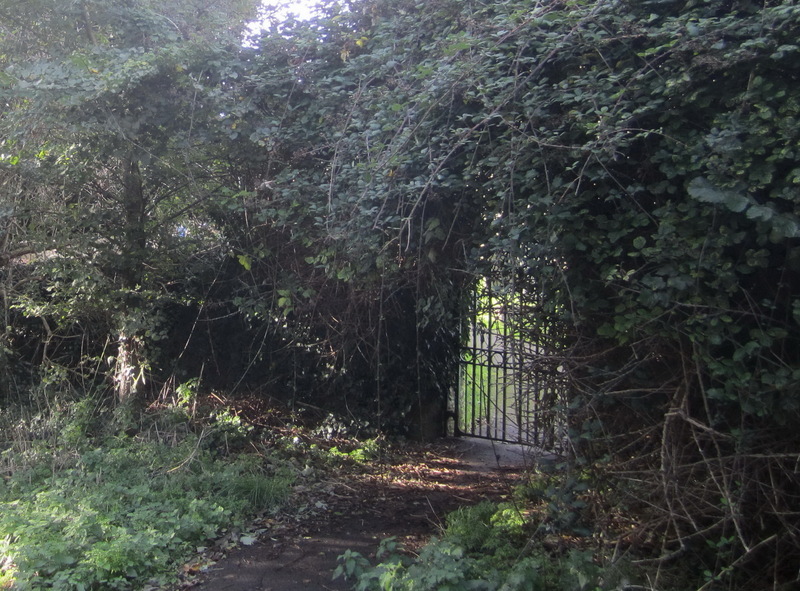 It would have been the main entrance to the churchyard for those coming from the town on foot. 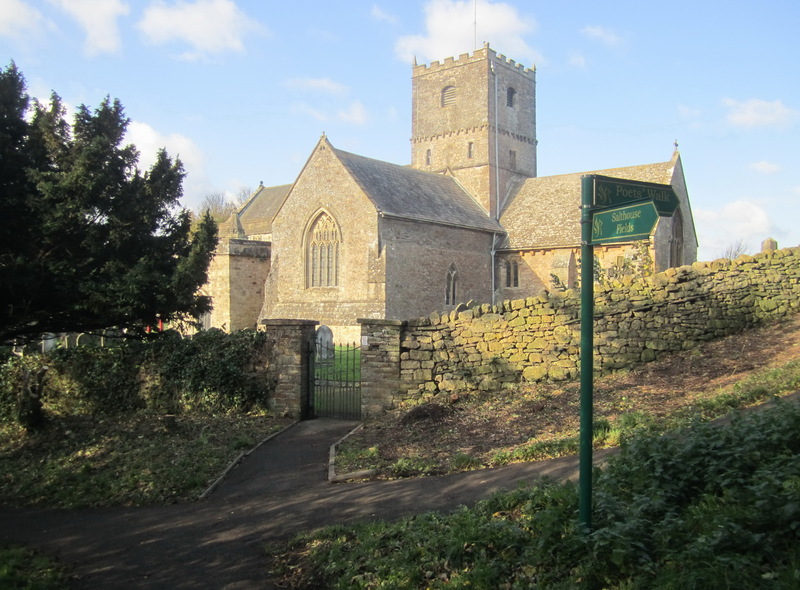 Church notices can be seen on both gateposts and the wall is well maintained. 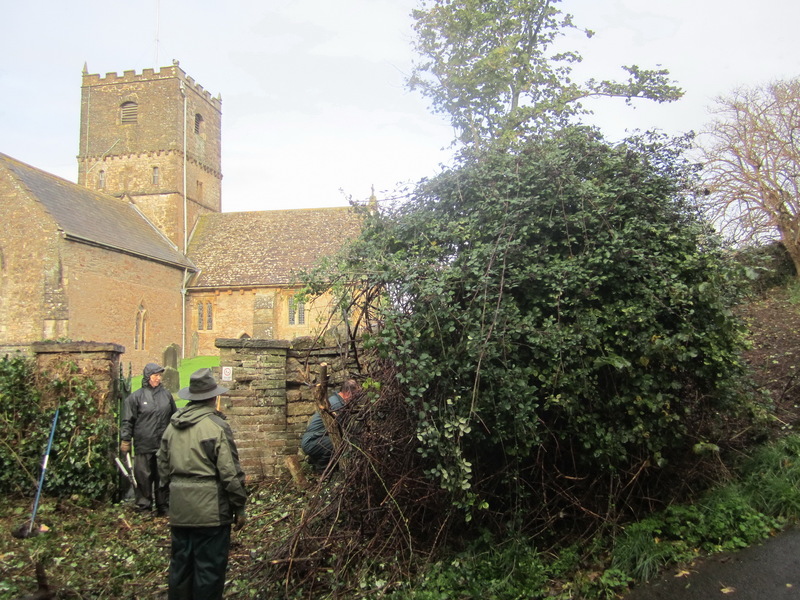 4th November 2013: the churchyard wall is covered with ivy, and nettles thrive on the bank beneath. 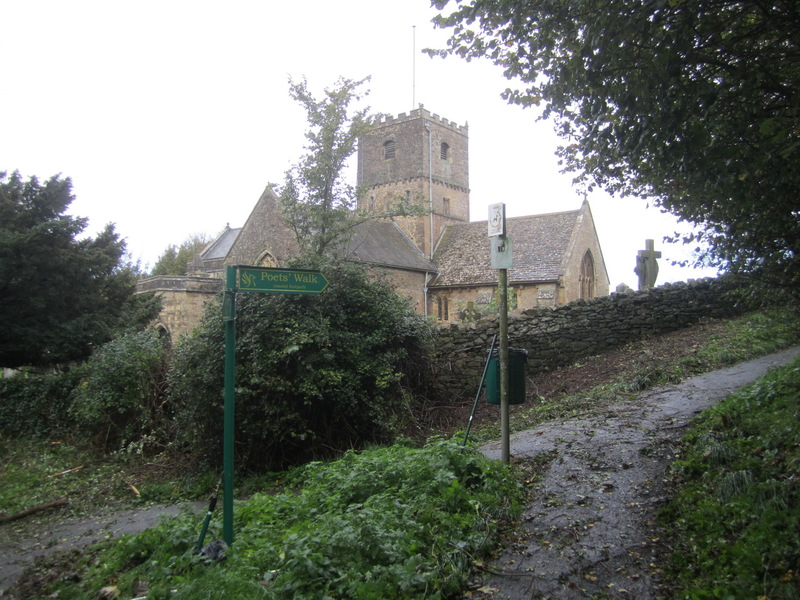 Large elm suckers and self-seeded elder grow close to the wall, threatening the stone work and blocking the view of the church. 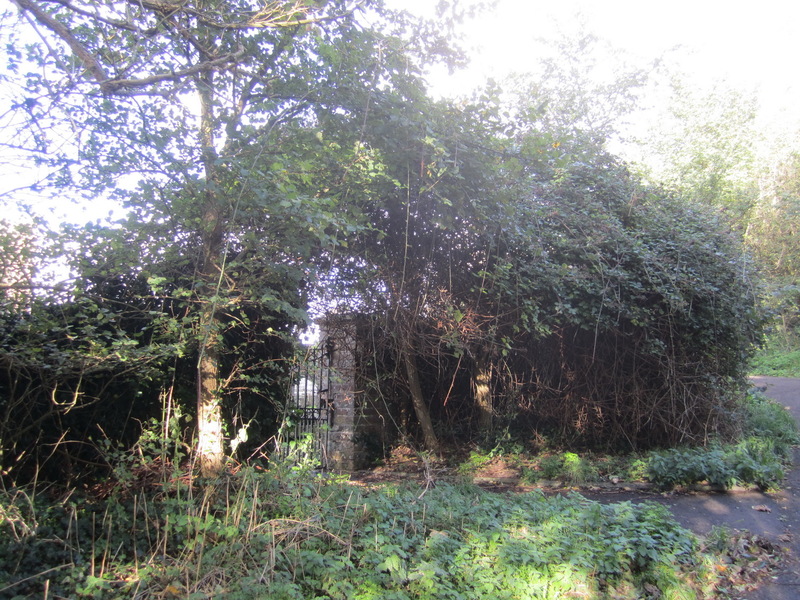 Brambles threaten to obliterate the old green-painted gate and prevent access. 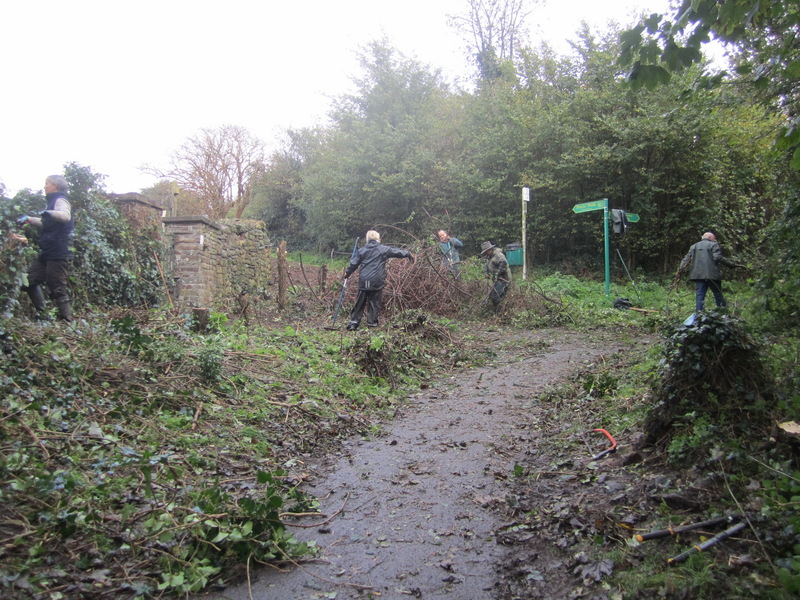 Volunteers trimmed some of them back last year. 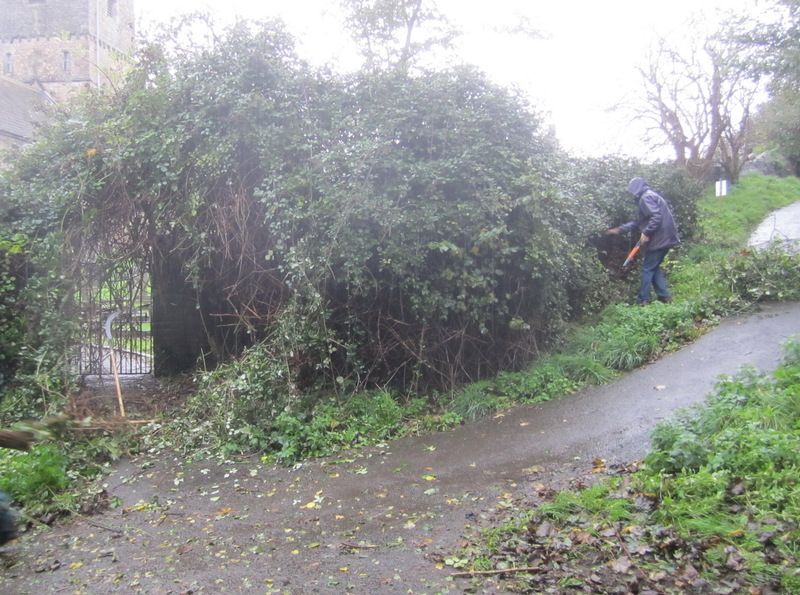 9th November 2013: On a pouring wet Saturday morning the Friends, ably assisted by the Clevedon Woodcutters for Wildlife and St Andrew’s church warden, felled trees and started to cut back brambles – all by hand. 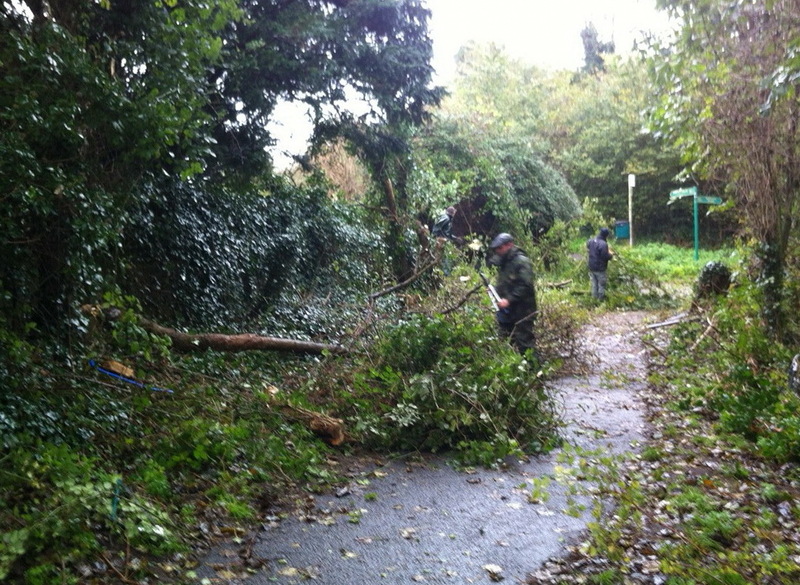 The end of the morning’s work. 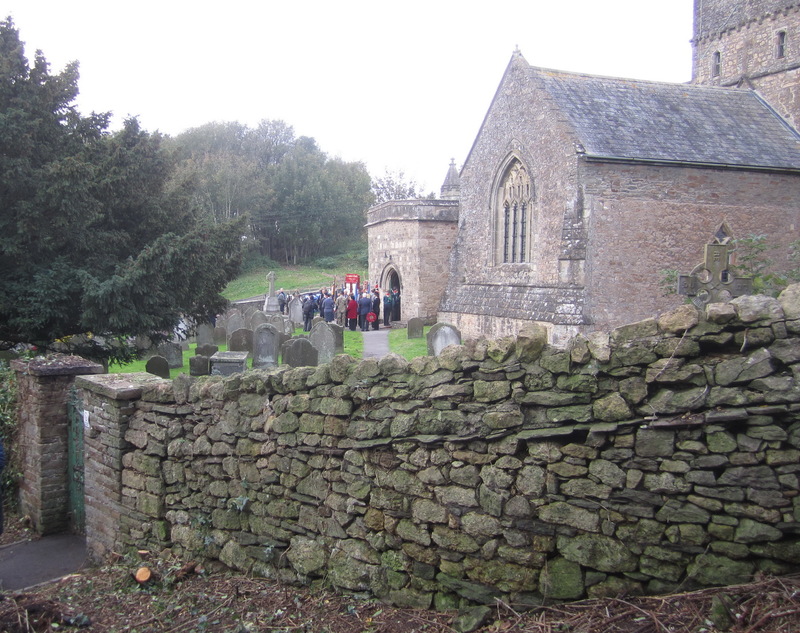 The next day was Remembrance Sunday. 21st November: A view worthy of a new postcard! 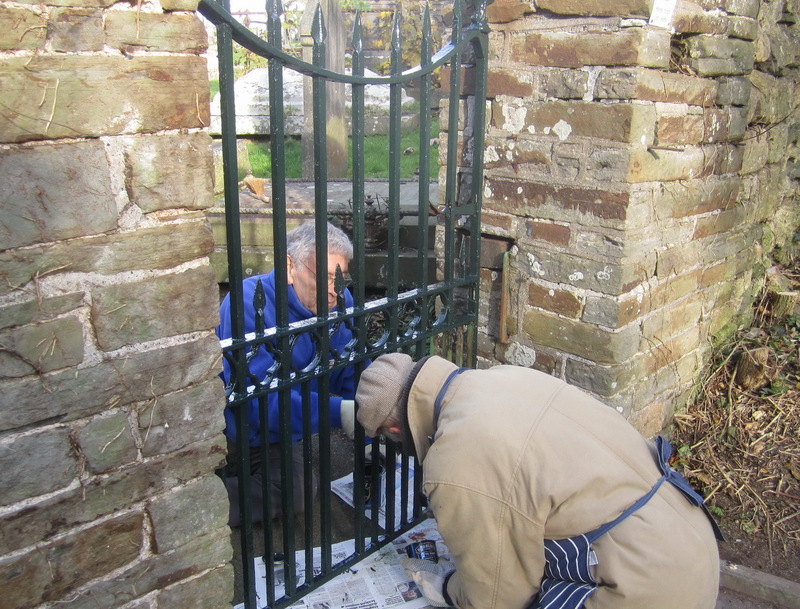 Five members of the Clevedon Civic Society Environment Group, after consultation with the Church authorities, sanded and painted the green gate, as well as the main gate outside the lych gate. 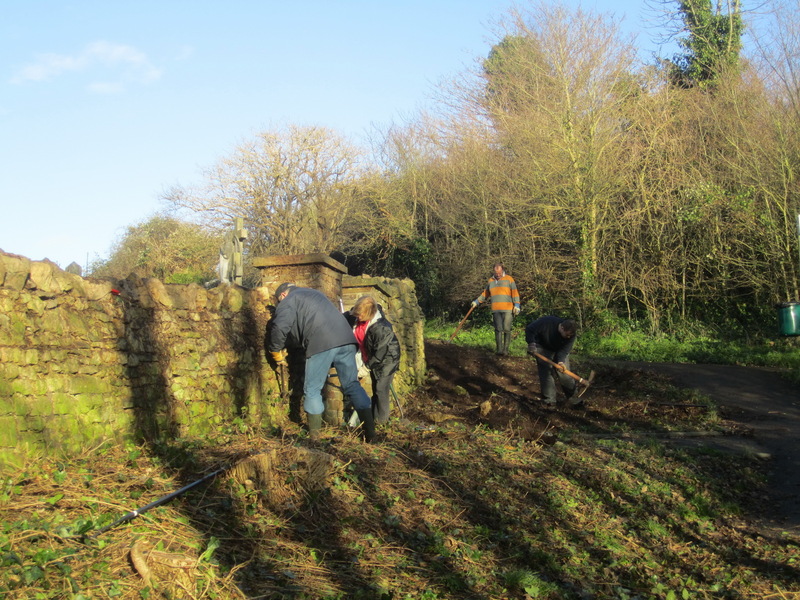 2nd January 2014: Volunteers clear ivy from the wall, and remove ivy and bramble roots from the bank below to allow grass and wildflowers to recolonise the patch. 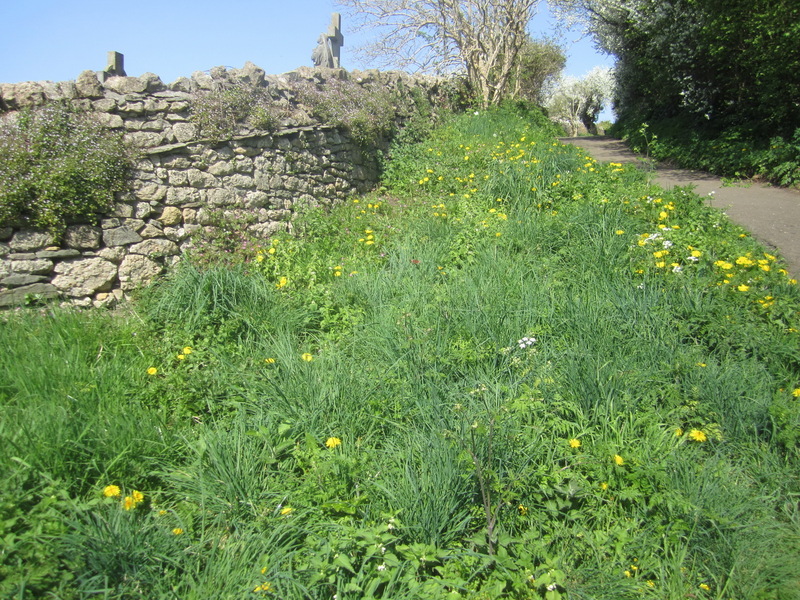 10th April 2014: Grass is gradually recolonising the bank. 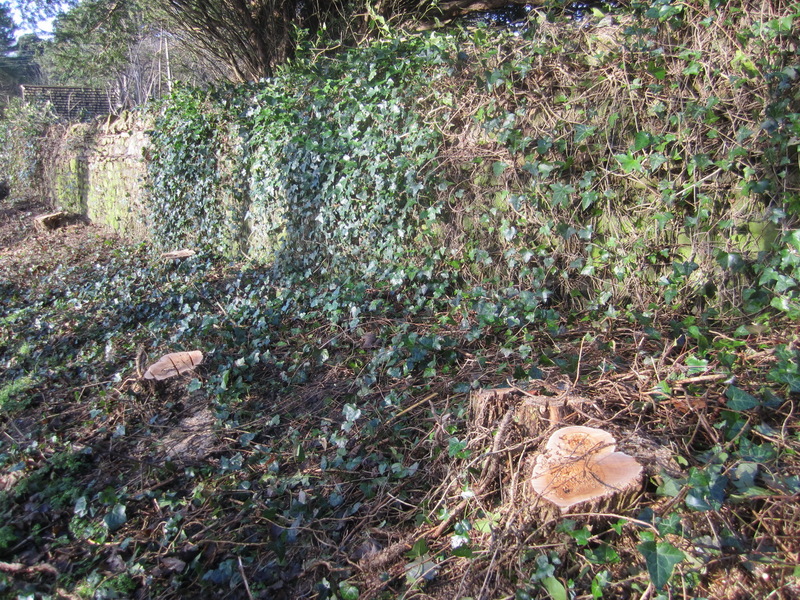 Nettles and other invasive species are removed, and new shoots are trimmed from the tree stumps. 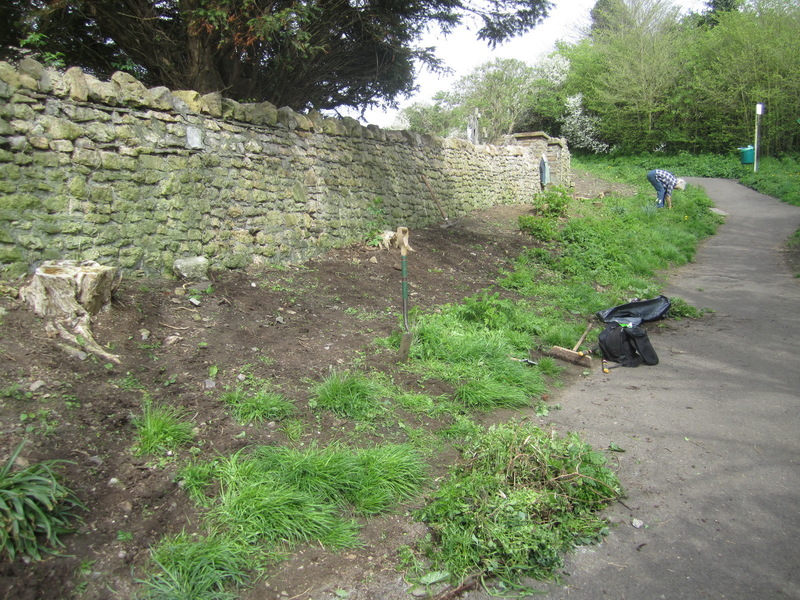 8th May 2014: Rank vegetation is cut back using scythe and sickle, and removed, as the next stage in establishing a grassy, wild flower bank. 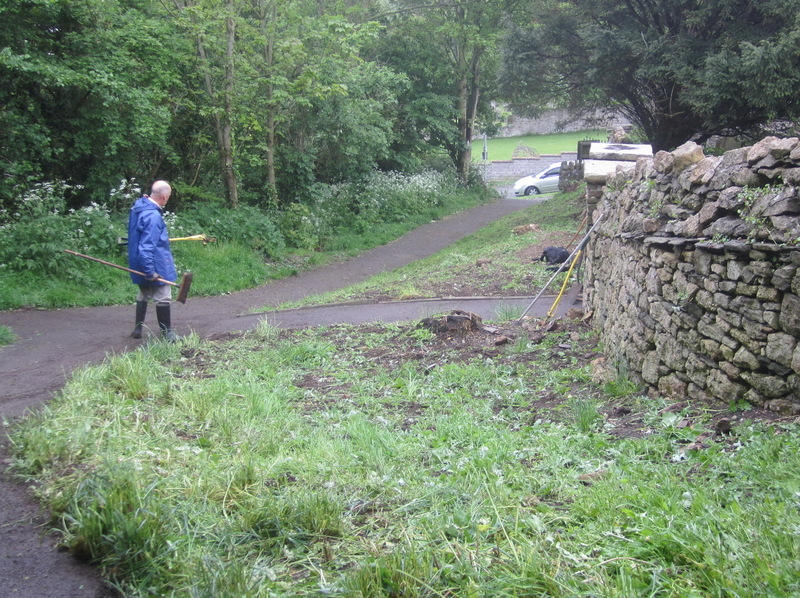 Weeding (especially of nettles) and tidying of the path edges continues as necessary. 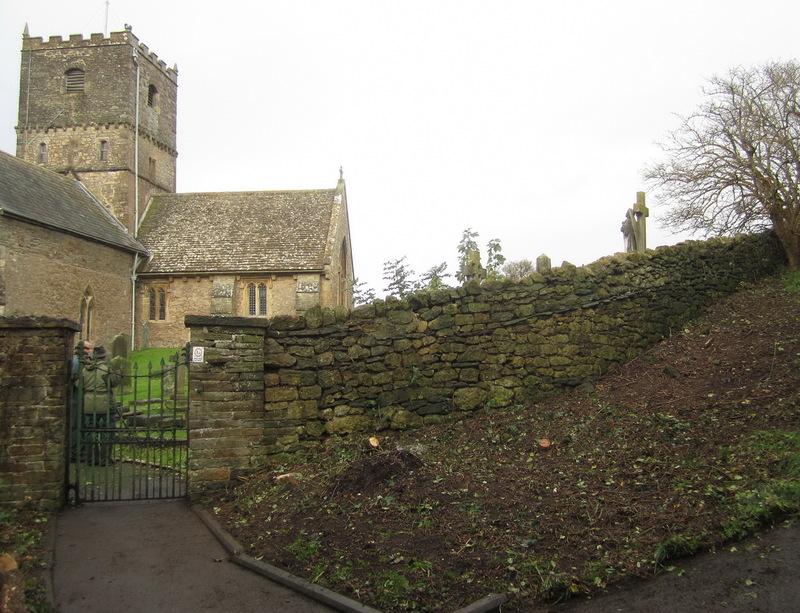 This photo is from March 2015 and shows how ivy-leaved toadflax is colonising the wall. 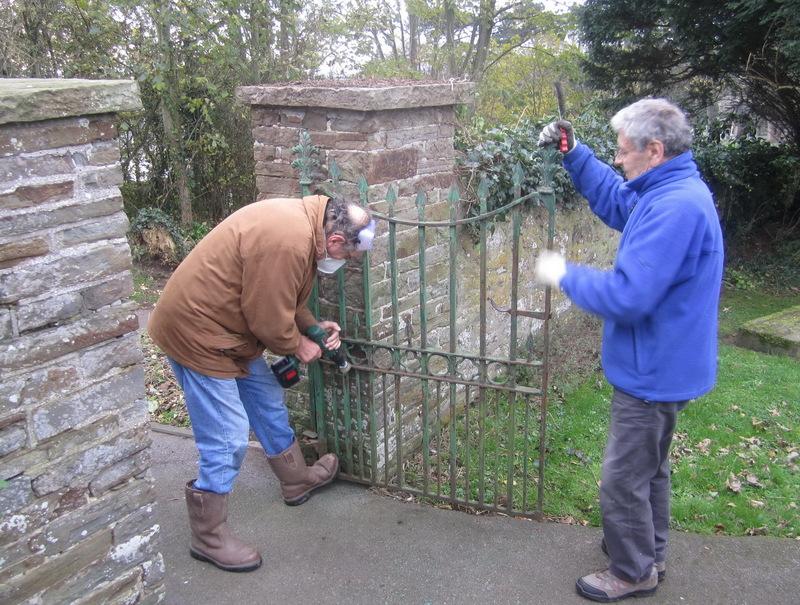 Clevedon Civic Society’s Environment Group were very pleased to help Clevedon Conservation Volunteer’s with the painting of the gates after all the Volunteer’s hard work in clearing the brambles etc. This is such a good example of cooperation between groups! Thank you Bob for mobilising your team and for your kind comment.